When four of the first five tricks in a Big Air contest are triple cork 1620s… you know it’s going to be a big night. Eight of skiing’s top jumpers pulled out all the stops in tonight’s 2018 X Games Men’s Ski Big Air contest, contending in a new format that judged one leftside and one rightside spin in a 25-minute jam session. Several never-been-done tricks were landed, like Birk Ruud’s switch left triple 1620 safety and switch left triple 1800 safety, and Fabian Boesch’s left triple cork 1980 safety (see you in the future Fabian!). But despite the insane trickery from other competitors, the judges liked Henrik Harlaut’s flavor the best tonight: switch left triple cork 1440 mute and switch right triple cork 1440 Phil grab—the latter a first for him. 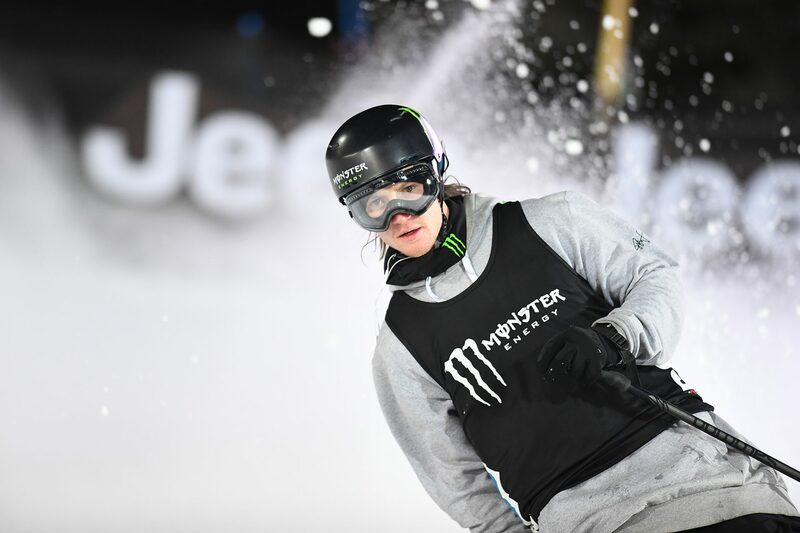 A score of 43 on both tricks was enough for Harlaut to clinch his fifth X Games gold medal—and he even posted those scores early enough to have time for stylish zero spins on his last two jumps. Øystein Bråten nabbed second place with a switch double cork 1440 tail to tail grab to the left, scored at 41, and a switch double cork 1440 safety to japan to the right, scoring a 39. Last year’s winner James Woods rolled into third place with a switch triple cork 1440 octograb to the right (scoring a 44) and a forward triple cork 1440 safety to the left (scoring a 38). The evening’s stunned sixth-place finisher was young Norwegian Birk Ruud, who landed the aforementioned switch triple 1620 and 1800 but wasn’t able to win the judges over to his cause. Eirik Sæteroy: Switch right double cork 900, japan?